I let it sit in the mending pile for many months, because I wasn’t sure how to fix it. 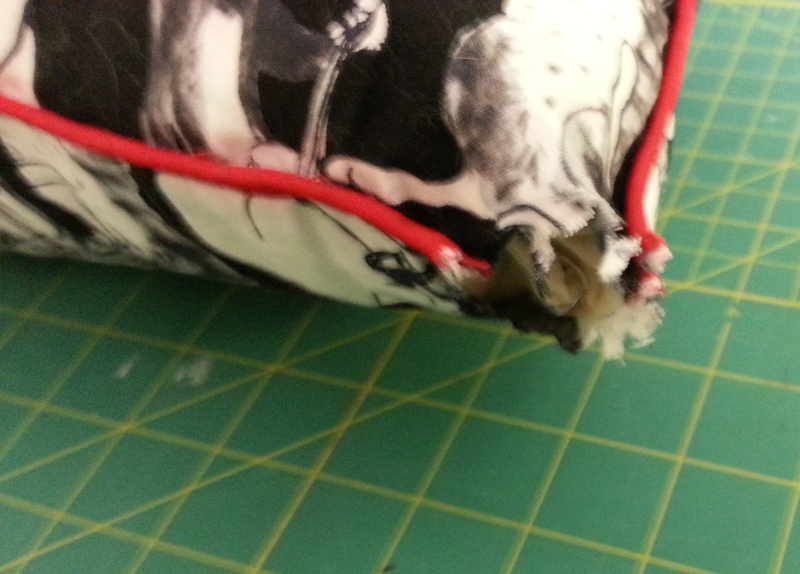 With other pillowcases that Lilo has chewed on, I’ve just turned them inside out and sewn the hole shut. When turned right-side out again, the mending becomes invisible. But the piping made that simple fix impossible. Using matching red thread, baste the chewed ends of the piping together. Then wrap the thread around the joined ends to obscure the seam. This left me with two round holes on either side of the piping. … until it was cinched chut. I fixed knotted the end of the basting thread, then fixed the mended fabric to the piping with a few small stitches. In normal viewing, the repair isn’t noticeable. Uner scrutiny, it’s still fairly well hidden. I went through the same process to fix the other hole. Voila! 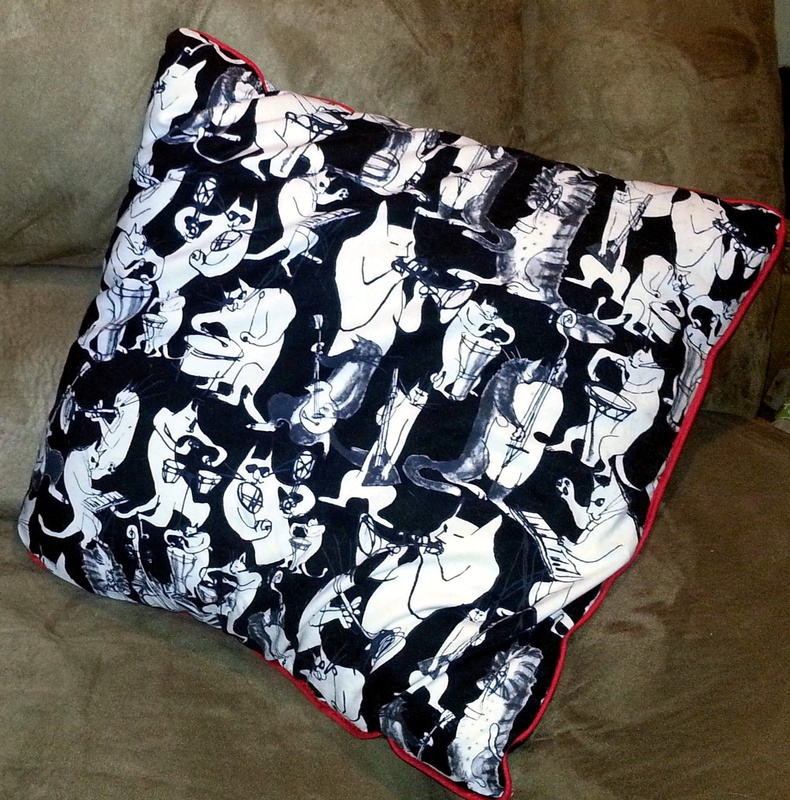 The pillow is couch-worthy once again. I don’t leave Lilo alone with it anymore. Not that you've got that finished beautifully you can help me fix one of my closet drapes. The fabric has stretched and now it drags on the floor. Easy fix for someone with your skills!